This is a complete system for on the road presentations and is perfect for tradeshow use. 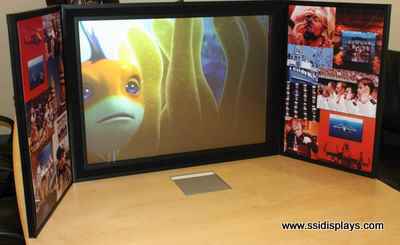 The mobile presenter table top displays are light weight and comes with a custom carrying bag with a strap for ease of use and carrying in and out of shows. This custom bag is in addition to your shipping box and is included in your purchase.